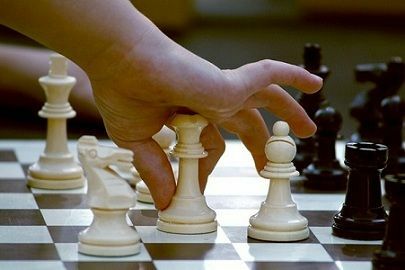 In business parlance, the terms strategy refers to is a unique plan designed with an aim of achieving a competitive position in the market and also to reach the organisational goals and objectives. In short, it is an interpretative plan, that guides the enterprise in realizing its goal. On the other hand, policy refers to a set of rules made by the organisation for rational decision making. Policy lays down the course of action, which are opted to guide the organization’s current and future decisions. Many people have confusion regarding the two terms, but they are not alike. Here, one should know that policies are subordinate to strategy. Here, in this article we made an attempt to point out the significant differences between Strategy and Policy. Have a look at it. Meaning Strategy is a comprehensive plan, made to accomplish the organizational goals. Policy is the guiding principle, that helps the organization to take logical decisions. It should be formulated from the top level management. However, sub-strategies can be made by middle-level management. It should have a long range perspective. It should be dynamic in nature. The main purpose is to overcome from uncertain situations. It should be made in such a way, to make the best possible use of scarce resources. The policy is also regarded as a mini – mission statement, is a set of principles and rules which direct the decisions of the organisation. Policies are framed by the top level management of the organisation to serve as a guideline for operational decision making. It is helpful in highlighting the rules, value and beliefs of the organisation. In addition to this, it acts as a basis for guiding the actions. Policies are designed, by taking the opinion and general view of a number of people in the organisation regarding any situation. They are made from the experience and basic understanding. In this way, the people who come under the range of such policy will completely agree upon its implementation. Policies help the management of an organisation to determine what is to be done, in a particular situation. These have to be consistently applied over a long period to avoid discrepancies and overlapping. The strategy is the best plan opted from a number of plans, in order to achieve the organisational goals and objectives. The policy is a set of common rules and regulations, which forms as a base to take the day to day decisions. The strategy is a plan of action while the policy is a principle of action. Strategies can be modified as per the situation, so they are dynamic in nature. Conversely, Policies are uniform in nature. However, relaxations can be made for unexpected situations. Strategies are concentrated toward actions, whereas Policies are decision oriented. The top management always frames strategies, but sub-strategies are formulated at the middle level. In contrast to Policy, they are, in general, made by the top management. Strategies deal with external environmental factors. On the other hand, Policies are made for internal environment of business. The difference between Strategy and Policy is, a little complicated because Policies come under the Strategies. Apart from that, the policies are made to support strategies in several ways like accomplishing organisational goals and securing an advantageous position in the market. Both of them are made by the top management as well as made after a deep analysis. Thanks, Now I really, as a novice in this area, understand more. Thank you very much for liking the contents, your views are valuable to us. thanks for differentiating the two mixing word. Can you further explain the it by giving recent examples please. Thanks for the comprehensive description on these two words, I got more, I appreciate. This has been cited by the united states airforce, congratulations.